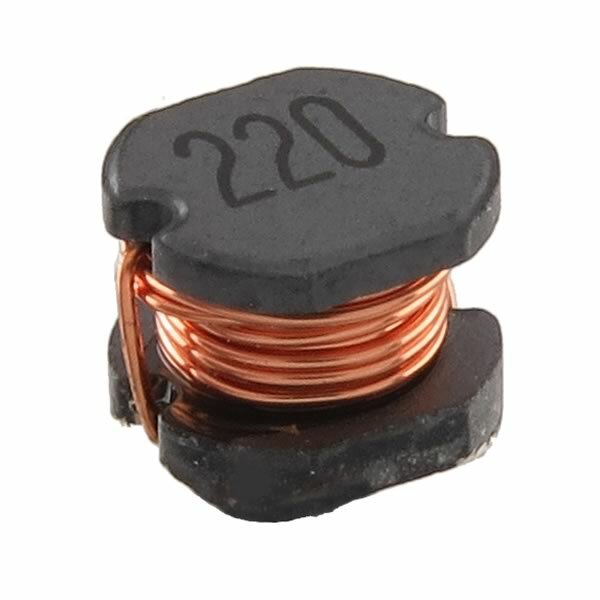 PM54 Series SMD Power Inductor is rated 22uH ±20 %. Rated 1.10 Amp. Has a Ferrite DR core and Enameled copper winding. Terminals are Ag/Ni/Sn. Size is 5.8mm (0.228") diameter x 4.8mm (0.189") tall. J.W. Miller (Bourns) Part# PM54-220M-RC. Sold in a package of 10. Retails for $7.79 for 10.